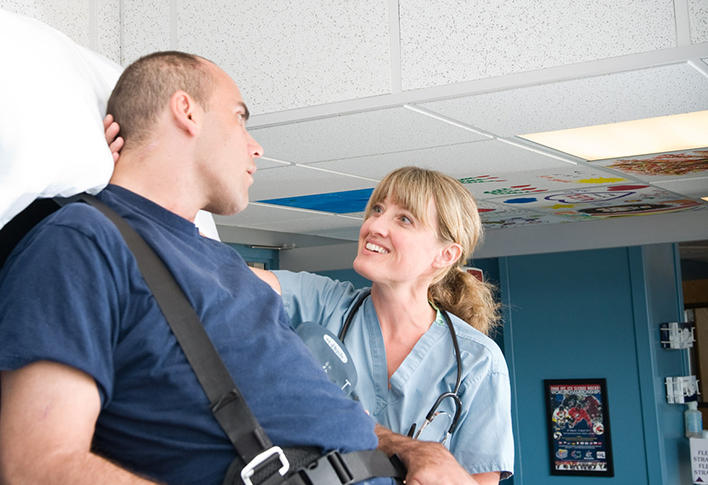 Unsurpassed rehabilitation care is only the beginning. Here at Spaulding, your journey to wellness is supported at every stage. Our treatment, care and support is comprehensive. Our complete commitment to you is what makes us different. When it comes to your rehabilitation, you deserve every option and advancement available. You deserve a seamless path to wellness. That’s why our patient support services focus on your needs, remove obstacles to care and enable you to focus on what’s most important – you. 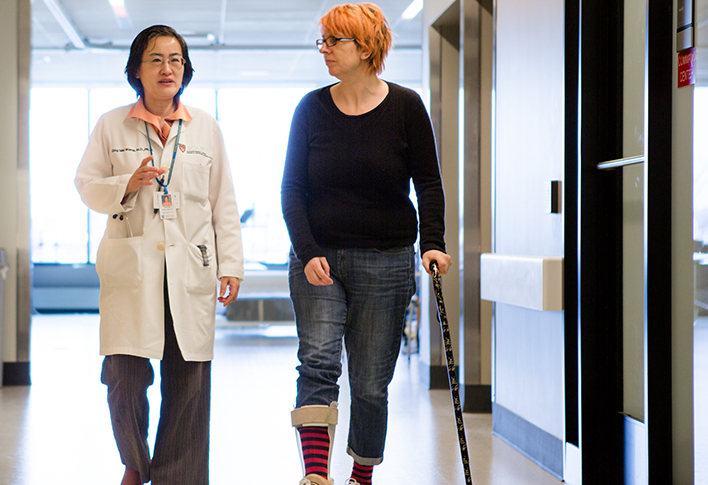 We are with you every step of the way throughout the Spaulding Network – from acute care following a traumatic injury to long-term, ongoing care for a chronic condition to recovery after surgery. No matter your rehabilitation need, we have clinicians, therapists and rehabilitation specialists offering the best care available, when and where you need it across greater New England. Our teams are dedicated to giving you access to the best care available, because cost should never get in the way of your recovery. We make every effort to streamline the process and give you easy access to the care you need, when you need it. We have a team of admission specialists who work to help you find the most appropriate level of care in the right facility for you. Our Case Management Department and Clinical Social Work services are here to give you and your family the best experience possible. We focus on coordinating your care so you can focus on your recovery. We work with you and your family, referrers, insurance companies and employers to make sure you have full access to all the healthcare and rehabilitation services available to make you well. We make sure you and your family are always kept informed by ensuring you have access to your medical information. All patients in the Spaulding Network have digital access to important personal medical records. As an inpatient undergoing rehabilitation care, you will have access to diet and nutrition experts, respiratory therapists, speech-language pathologists, pastoral guidance and more to help you on your journey to wellness. At Spaulding, you’ll never have to find your strength alone. We offer a wide range of support groups for a variety of wellness needs. Call the Family Resource Center at (617) 952-5159 for information on Spaulding support groups.